Toys R Us Quioccasin Rd Richmond, VA. Photo courtesy of Wikipedia. Smyth Toys, a company based in Galway, Ireland, has agreed to purchase some of the European divisions of Toys ‘R’ Us. This is Smyth’s first time selling on the mainland of Europe. When the deal is implemented Smyth will run 93 brick and mortar shops and four online stores in Germany, Austria and Switzerland. 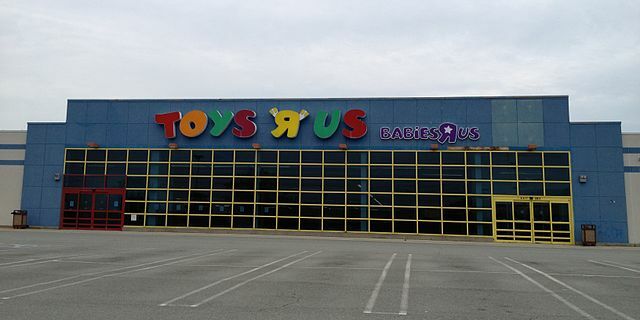 The buyer was found by Lazard, an investment bank, which was employed to look for buyers for Toys ‘R’ Us international subsidiaries after the giant US retailer filed for bankruptcy in March. Smyths was founded in County Mayo and is owned by four brothers from Galway; Tommie, Tony, Liam and Padraig Smyth. The brothers own 21 stores in the Republic of Ireland and an additional 90 or so in Britain and Northern Ireland. The company has been growing quickly since 2007 when it entered the UK market, and is planning on opening more shops in Luton and Dundee in the near future. Toys ‘R’ Us announced in January that it was going to close about 20% of its US stores as part of its strategy to come out of one of the largest in history bankruptcies by a specialty retailer. The plan did not work out and the Toys ‘R’ Us subsidiary in Britain was forced to close all 100 shops after not finding a buyer. A bid was made on the Canadian division of the toy retailer by Fairfax Financial Holdings for $300 million.